Thoughts flow like water along this quiet creek. 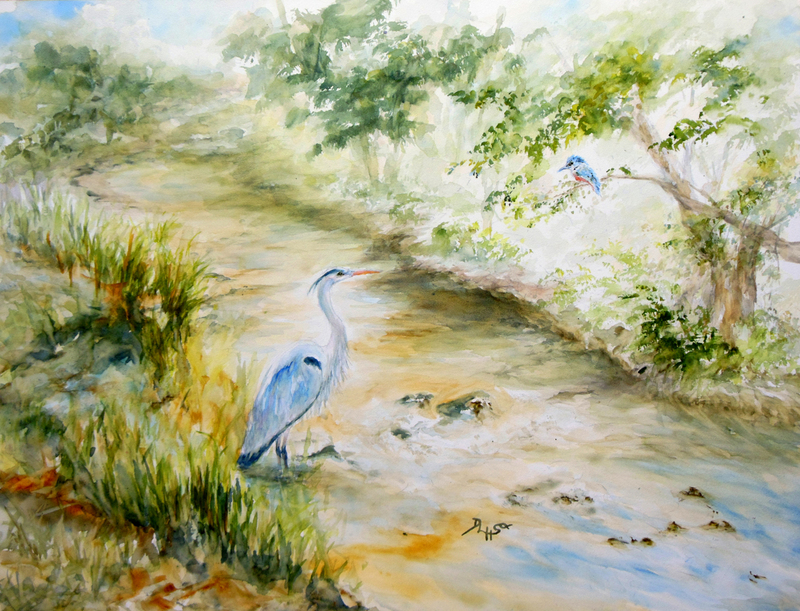 Lively kingfisher looks down on a contemplative heron. This work was accepted into the 89th Juried Art Show at Phillips' Mill portfolio category.